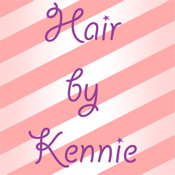 This is the official mobile app for Hair by Kennie, which is located in Katy, Texas. Customers can get loyalty discounts, and coupons for a variety of products and services. Customer can check out a picture gallery of new and trendy hairstyles, and body waxes. Download our App get the “Royal Treatment you deserve”.